Favn™; the Danish word for embrace, is a result of a creative dialog between the Spanish designer, Jaime Hayon and Fritz Hansen. 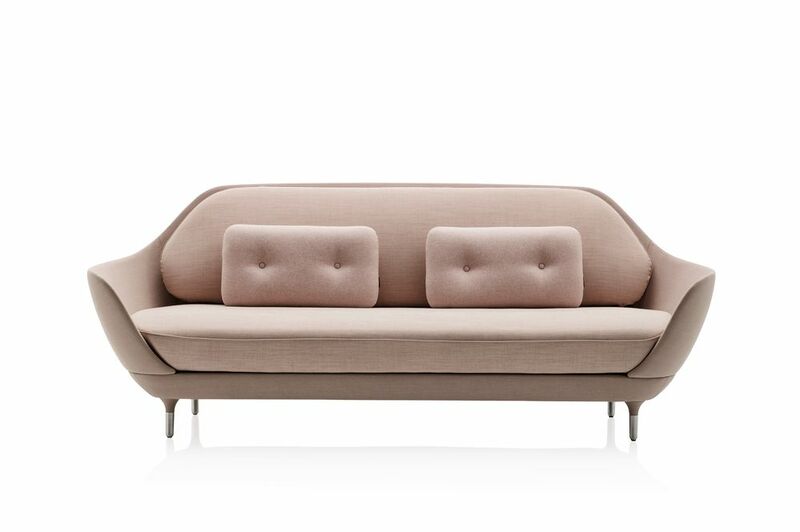 The sofa’s open and rounded curves is inviting, and perfect for relaxation, work and everything inbetween. The Favn™ sofa comes in a selection of unique Designer Selections colours in a mix of 3 fabrics; one fabric for the shell, a second for the seat and back cushions, and a third fabric for the small decorative cushions. The sofa is also available in a wide range of standard fabrics. The 4 legs are made of brushed aluminum and a set of large felt glides (for soft wooden floors) comes with the sofa as a standard. Hayon’s Spanish heritage and sense of humour are inherent in everything he creates, from lounge to dining chairs. "It is important to remember that my design is made for humans – to be used by humans. I believe that design should provoke emotions. Design should make you feel good. Create happiness." As a teenager, he submerged himself in skateboard culture and graffiti art, the foundation of the detailed, bold-yet-whimsical imagery so imminent in his work today. After studying industrial design in Madrid and Paris he joined Fabrica in 1997, the Benetton-funded design and communication academy, working closely with the legendary image-maker and agitator Oliviero Toscani. In a short time he was promoted from student to head of their Design Department. Eight years later, Jaime broke out on his own, first with his collections of designer toys, ceramics and furniture, later followed by interior design and installations.